Here it is, as promised, my new “most-used” category; a monthly round-up of the five beauty products that I’ve used again and again. Helpful, I hope, for anyone wanting to know what I turn to day in, day out, rather than flash-in-the-pan lipstick love affairs and impulsive face mask experiments. It’s so difficult to narrow down my most-used products to the top five, but I’ve started being incredibly analytical about my skincare routines and (mainly due to time constraints) a lot more selective about the products I test. So, in general, testing fewer things for longer. 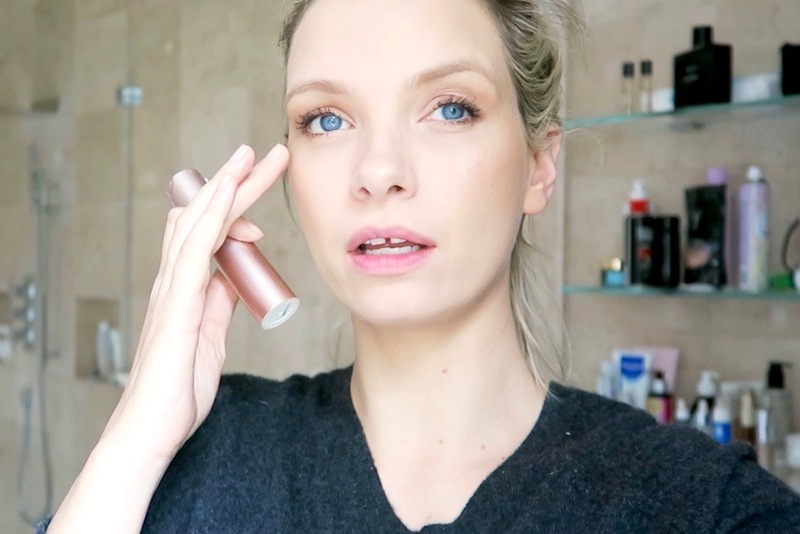 Not that I was ever that prolific in terms of whizzing through great stacks of skincare – my face doesn’t like it if I change routine and product type too often, so I tend to have a set of staple products and then swap in some interesting bits and pieces every few weeks. Anyway: all is revealed in the video, so press play and try not to focus too much on my shoddy camera work and echoing bathroom. I’ll make sure I have a tripod next time, and I’m trying to source a nice big rug for the floor so that the sound is softer in there. It’s like an aircraft hanger, except tiled in travertine.